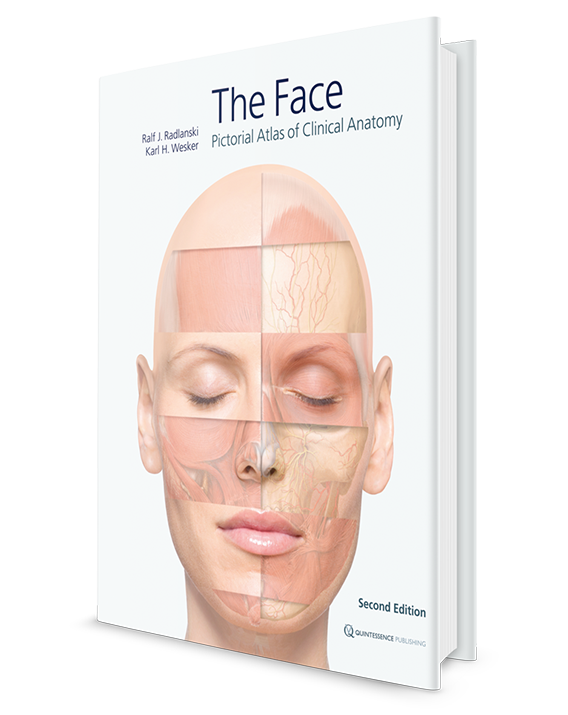 For the first time, the highly complex anatomical and topographic relationships of the face are represented through a comprehensive series of over 380 vivid, detailed illustrations. Because the authors use composite images of living models and anatomical dissection specimens as well as corresponding computed tomography and magnetic resonance imaging series, their illustrations capture three-dimensional detail and provide surprising clarity. Facial structures can be explored layer-by-layer, and significant landmarks, anatomical details, and clinically relevant groupings of nerves and blood vessels are taken into account to preserve clinical relevance. In addition, the layers of the dissection are always seen from the same viewpoint, thus ensuring that a clear overall orientation is maintained throughout. Accompanying text and figure legends emphasize key points, but the focus is always on the anatomical images. A must have hand on working tool for dentists, esthetic plastic surgeons, dermatologists, ENT specialists, ophthalmologists. Ralf J. Radlanski is Director of the Department of Craniofacial Developmental Biology at Charité, the Center for Dental and Craniofacial Sciences. As an anatomist, an internationally esteemed scientist, and as a practicing orthodontist, he works at the interface between biology-anatomy on the one hand and esthetic clinical requirements on the other, a crucial area of interaction in many clinical disciplines. Karl H. Wesker is an artist and an illustrator. He has worked for many years on the visualization and didactic presentation of complex structures. He has developed new methods that produce highly detailed and yet esthetically fascinating images of human anatomy. These methods form the foundation of the three-volume atlas of anatomy Prometheus, which is being published by Thieme and for which he has created most of the illustrations.